Why do we hang the hams? Home » blog » Why do we hang the hams? 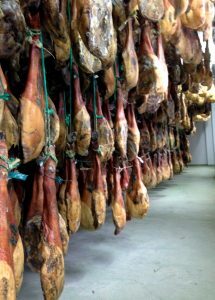 Surely you have noticed when traveling in Spain, that it is very typical in many bars, restaurants, wineries and shops find ham hanging from the ceiling. Have you ever wondered why? Between 16th and 17th centuries, according to the tradition, the Christians used to hang the ham to identify and differentiate themselves from Muslims and Jews. But being practical, any ham fan knows that the result is not the same if the ham is leaning on a surface or is conveniently hung. Actually, in the ham left on the ham holder, mold growth can occur as it perspires less. Hanging ham favors its drying thanks to better ventilation, helping to eliminate excess of fat and moisture and improve its flavor. Visit our online shop where you can find and buy differents types of Spanish ham, Pata negra, Serrno and Bellota , all of them are top quality Spanish ham. We have competitive prices because we are manufacturers with an experience of over 30 years. We guarantee the quality of our Iberian hams reared Extremadura. In our online store, you can buy hams and shoulders, whole or boned for portability and storage. Choose the desired products and we will send to you as soon as possible. 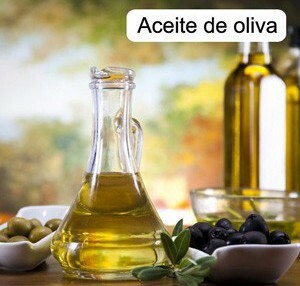 We are passionate of Spanish food and most of all of Spanish ham.